← Geography: Do you know where you are? 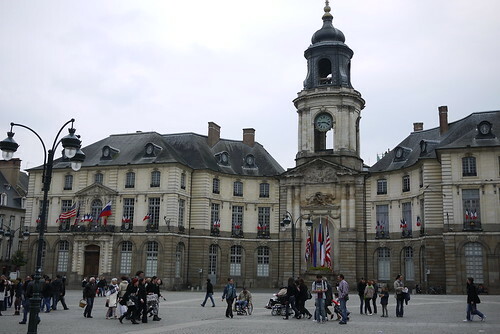 I arrived in Rennes, the capital of Brittany, as an exchange student in September 1975. I was a 19 year old sophomore, who, along with 29 American students from my college, would be living with French families and taking classes at the university. My host family, the Louis, were a clan of women — Madame and her daughters, Catherine, 23, and Marie, 17. Monsieur Louis had died a few years earlier, hit by a truck right in front of the family’s apartment on Rue Marechal Joffre. The family had hosted several Americans before me. These students, always female, were gregarious and outgoing. They’d bring Marie and sometimes Catherine on outings with other Americans, or they would bring Americans back to the apartment. My heart sank as I listened to these anecdotes. I was shy and introverted. I had difficulty making friends and spent most of my time by myself. I felt I was bound to disappoint the two sisters, particularly Marie, who had come to expect an exciting social life through her contacts with the Americans. Catherine, who worked full time in a record store, was often tired and distracted and was less interested in socializing. I was fond of Mme. Louis. A tiny, bird-like woman who taught piano to make ends meet, she was my favorite of the three, a substitute for my own cold, distant mother. I enjoyed sitting with her in the dining room, drinking tea and chatting. She told me Americans were brave during World War II but the British were braver because they flew their planes lower. When I told her I was studying American literature she replied there was no such thing because America was too new a country to have its own literature. The Vietnam War was ending, and there was a great deal of anti-American sentiment in France. President Ford was compared to Charlie Chaplin. Americans were seen as inept, uneducated boors. I had my own ideas about a 200 year old American literary tradition and the contributions of American soldiers during World War II, but I kept my thoughts to myself. My classes were held at the Universite de Rennes. Because my college followed a 10-week trimester that did not match the university’s schedule, we did not take classes with French students. I took a course in French language, one in French culture and history, and an independent study on the teaching of English in French high schools in Rennes. Our term-abroad advisor was Paul LeClerc, who recently retired as president of the New York Public Library. Every weekday morning except Friday, I left the Louis apartment and walked to campus, pausing to admire the jewel-like pastries arrayed in glass cases in the patisseries or stare at carcasses hanging in the windows of the boucheries. At first I ate lunch in the noisy university cafeteria, but the other American students had scattered after classes were over and I had no one to talk to. I started buying yogurt and fruit at local markets and eating alone in the park. My program provided for two meals a day with the host family, breakfast and dinner, so I did not go back to the apartment for lunch. Mme. Louis prepared light dinners: soup and salad or an omelette, so I lost five pounds that semester in spite of daily treats of tarte citron (lemon tart) or mille feuilles (Napoleons). I was isolated not only by shyness but because I had not rented a mobilette, the ubiquitous motor scooters the locals used and the Americans adored. Some students, who lived outside the city limits and could not walk to campus, needed them, but most used the scooters just for fun. The Americans would gather after class and buzz around the city or explore the surrounding countryside. My mother had fallen off a scooter on her honeymoon and broken her foot, and that story, combined with my natural cautiousness, prevented me from joining the pack. Then I met Shelley and Gary. And everything changed. I no longer remember the details of our meeting. None of us had mobilettes. And none of us fit in with the others. Shelley hated the provinciality of Rennes. She didn’t particularly want to learn French. She wanted to see the world and have adventures. She wanted to sleep with many men. Gary was black and gay. He wore multiple gold chains and spoke in a high, affected voice. He was kind, with a sharp sense of humor that he often turned against himself, probably as a way to survive. We became our own group, the Three Musketeers. We bought baguettes, cheese and wine and ate lunch together in the park. We sat together on the train on school trips to Chartres or Saint Malo. I brought Gary to meet Mme. Louis and she adored him. At that time the French were curious about les noirs, and I think she thought of him as a male Josephine Baker. I don’t know how he felt about being an object of curiosity, but I don’t think life was that much easier for him back in the States. After all, this was 1975. He preferred Mme. Louis to his own French mother and was gracious and patient with her. But he was not an available male and Marie wanted nothing to do with him, or with me by that time. Shelley did not want to meet Mme. Louis. On weekends she took the train alone to Paris or Amsterdam and would talk about men she had met in bars and cafes. I admired and feared her recklessness, and I didn’t want to hear too many details. I worried there was some chance she could end up floating in the Seine or the Amstel. One evening, she induced me to take a train with her far in to the countryside to listen to a concert of chamber music in a chateau. I remember getting lost in the woods after dark while trying to find the concert, and cursing myself for going along with her. By the time I left Rennes, I spoke French fluently. And when I returned to college, I never saw Shelley or Gary again. The three of us reclaimed our usual routines and did not seek each other, as though we were embarrassed to acknowledge our former vulnerability and loneliness. Rennes is less provincial now, more modern. The French have embraced our technology and the city dwellers have learned our language. But are we still the new kids on the block? Nancy Gerber received her doctorate in English from Rutgers and taught Women’s Studies and English at Rutgers in Newark for eight years. 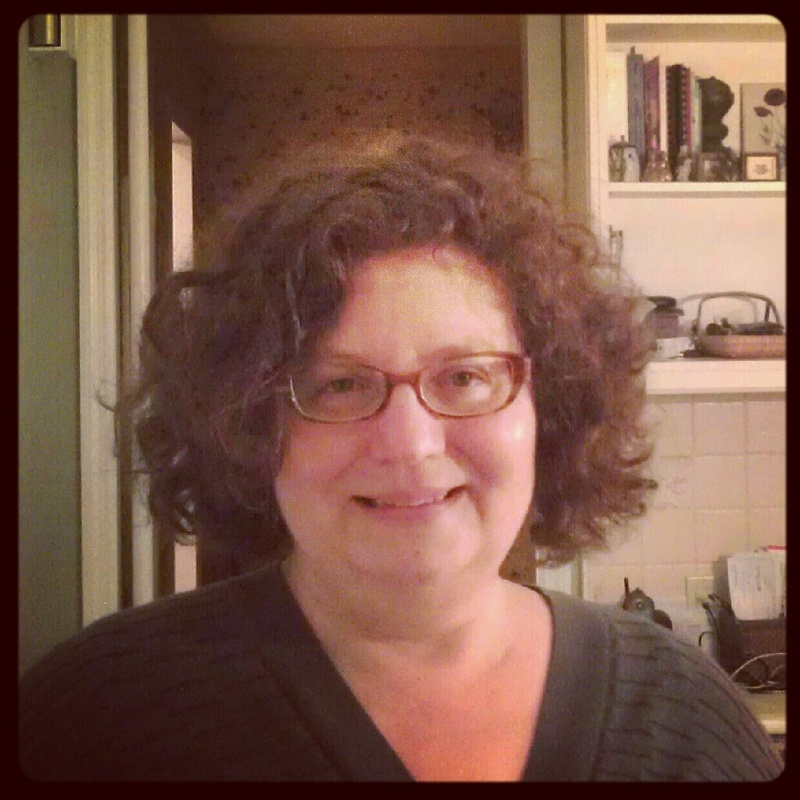 She is the author of Losing a Life: A Daughter’s Memoir of Caregiving. Is it not a bit patronising to say, they have “embraced our technology”?. If anything you should say Japanese or German and of course their own. And lol good luck with finding a Rennais that speaks fluent English. You’re right, that sentence is wrong. What I meant to say was this: “The French have embraced aspects of American culture, and Parisians now speak our language.” I appreciate your careful reading.